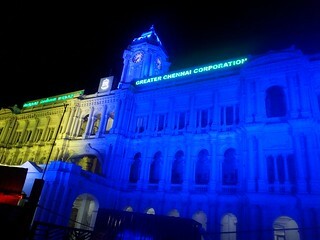 The headquarters of the Greater Chennai Corporation - the iconic Ripon Building was lit up on the occasion of the World Down Syndrome Day. This was the first time that Down syndrome has been represented. The building lit in the down syndrome colors of Yellow and Blue looked majestic and grand as people looked in awe at the imposing structure. Our students along with their parents and staff went to Ripon building in the evening and had a good time there taking hosts of pictures and enjoying their time there. 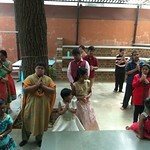 WDSD 2018 was celebrated with great pomp and fun at the Mathru Mandir center in Chennai. Parents and persons with Down syndrome along with the center staff had a good time. There were games, dances, competitions and more – everything that was required to celebrate these special people. As it is rightly said – the extra chromosome definitely makes them “extra” special.